Finding the best monofilament fishing line for saltwater is not an easy task. Because of the thousands of monofilament line available in the market today, you might get confused as to which brand you will trust. We want to help you in deciding and end up buying the right product for your need. Here are 7 monofilament fishing line that you can consider buying. This monofilament fishing line is rated well. It is available in different sizes depending on the type of fish you are going to catch. The fishing line is also available in different colors and it depends on where you are going to fish. Its impact resistance is the best feature of Stren High Impact. The line won’t break easily since it has a controlled stretch that helps withstand a sharp tug from big fish. You will never lose a fish because of the high impact absorbs the shock tug from the line. The line has an impressive resistance to abrasion so you can use it to fish on any type of environment, even on trees and low-lying branches. It is crafted to catch fist that is hard to get and is best for offshore and coastal anglers on spinning, tolling and casting reels. KastKing Monofilament fishing line has amazing abrasion resistant technology so you don’t have to avoid areas with sharp rocks. It is both supple and soft, and you can tie knots easily in this line to provide more strength. Because it has paralleled roll track, the lines do not sink in the spool. This monofilament fishing line has very low absorption that lets the angler perform a fast retrieval without limping. It is stiffer as compared to other lines, so might find it hard to spool, but it adds to its sensitivity so you will feel a catch much easier. It likewise gives your lures a lot of movement, which makes them move the way they were designed. It also has low memory that enables better handling and casting to make your fishing line to last longer. Since it is hydrophilic, it gets into the water easily, this enables you to catch the fish fast and easy retrieval. This is yet another award winning product of KastKing. 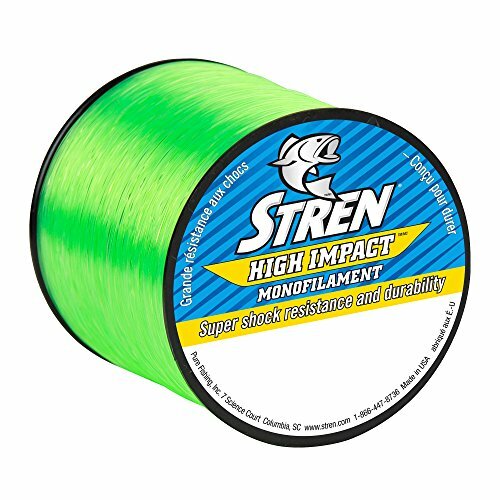 This monofilament line is very strong which makes it rank as the highest in tensile strength. It is also available in different sizes. KastKing Durablend is the most durable and abrasion resistant monofilament fishing line in the market today. This fishing line features excellent abrasion resistance, impressive shock strength and high know power. It also offers impressive properties anglers expect to have in a premium quality leader like a low stretch and impressive clarity. It went through strict quality control, so you are assured that you will be getting the best product. The DuraBlend Monofilament has very low memory characteristics. This fishing line maintains a high tensile strength to diameter ratio which makes it flexible and very soft. Because of its smaller, stronger line, this provides you more reel capacity for fighting difficult to catch game fish. 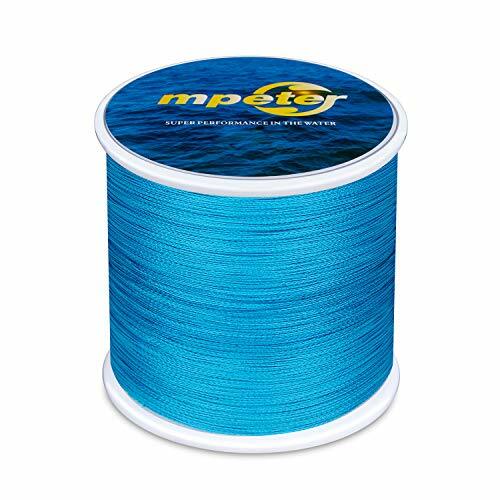 If you are looking for a fishing line that is very durable and is designed to increase casting distance, the Mpeter Armor Braided Fishing Line is a good option. The braided fishing line is made of durable fiber made of the similar material used in making bullet proof vests. Its price is not a question since you are assured you will be getting a high-quality line. It does not matter where you go fishing, you will surely have an enjoyable one with this fishing line. The abrasion resistance rate of Mpeter has increased by 12% because it is coated with Nano resin. As compared to others, it has a thinner diameter thus it cast smoother and farther. It also has much lower memory. You will have less chance of losing the big one, this is the best line in rock fishing. Its color is long-lasting because the manufacturer applies the new epoxy coating technology. This is one of the edges of Mpeter over its competitor. 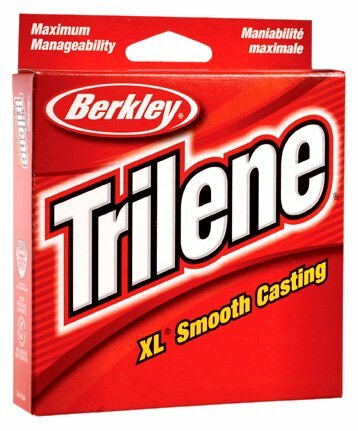 Berley is known for quality products just like this Trilene Smooth Casting Monofilament which is extra-large for those in search for more on their monofilament line. This line will help you to provide better control over your rod and manage that bite well until you are sure it is a catch. This casting monofilament will help you have a very smooth cast and you can throw it on a longer distance. It is durable so you don’t have to worry when your line gets caught or a fish biting. Berkley Trilene Smooth fishing line is rated well and one of the best seller in the market. This brand is very versatile that you can use it for different baits and techniques. It has a high memory but it is still good for mono and still considered as one of the best monofilament fishing line. When it is from Berkley it must be good. 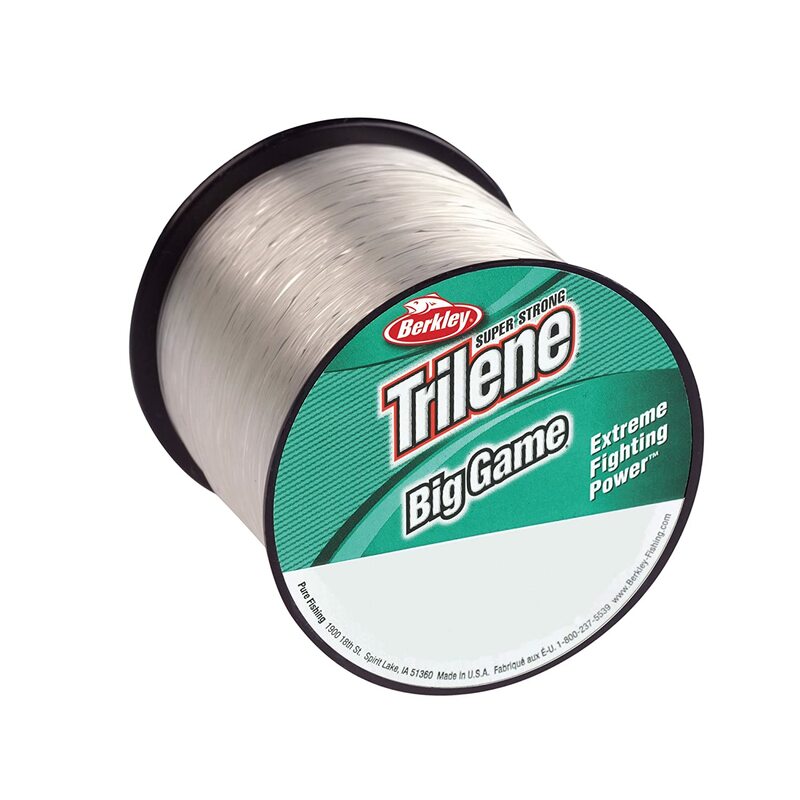 This Berkley Trilene Big Game Fishing Line is designed to be very tough. You will not have any problems with fishing even in the deepest area since it is abrasion resistant and can withstand when being dragged into rocks, weeds and branches. For anglers that are very particular on strength, this is a good line to purchase. Designed to help you catch more fish, the knots will not cause to make this line weak. Rather it adds to the strength and lets your lures perform better than it does in the past. If you are particular in the amount of stretch this is one fishing line that you can trust as it won’t snap the line by a sharp tug. Its shock resistant is also impressive, it helps you a lot especially if you are the one holding the rod. This co-polymer fishing line from KastKing is full of fluorocarbon coating making it invisible underneath the water. Your catching rate is increased with KastKing FluoroKote line color both in fresh and salt water. It has low memory and better casting with better strength providing more catch for anglers. The line composition increases the sensitivity and lessens stretch to provide longer casting. Although the diameter of this line is less, it still provides better knot and breaks strength for easy handling. 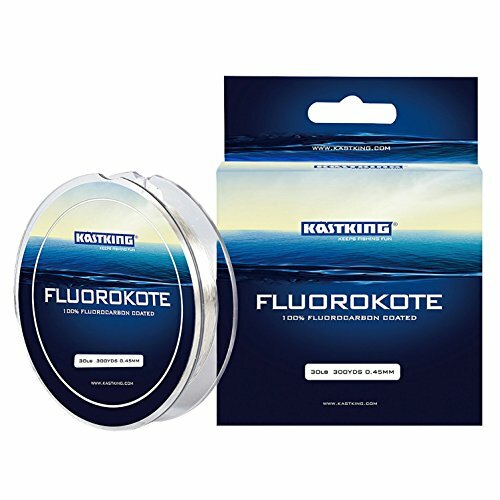 The KastKing Fluorokote Fishing line is awarded by ICAST 2015. It is a combination of the best selling KastKing Copplymer Fishing Line and 100% high-tech fluorocarbon coating. FluoroKote diameter is less than which results in a smaller, stronger line that provides you more reel capacity and boosts depth with diving baits. With its low absorption, the fishing line sinks faster. This unique fluorocarbon materials make the line very durable, exceed in sensitivity and provide better knot strength. This is one feature that you need to focus when buying a fishing line. It is measured by the amount of weight the line can hold from the ground. Fishing lines are not the same and if your goal is to catch a big fish make sure that the line is capable enough to keep them on the line and can take the heavy weight. Match the pound rating to the fish weight you aim to catch. If you are not sure it is best to choose a higher weight. It is best to choose the one with a heavier lure to make sure that you will not have any problem along the way. Monofilament fishing line tends to sink at a slow rate which is the best option if you are casting out topwater lures. Monofilament line color plays a vital role in catching the fishes. It depends on the location where you will go fishing. To effectively catch the fish it is best to match the color of the line to the color of the water. If you have a plan of going into clear water, choose a blue and clear line to make it appear invisible under water. Some fishing line can glow when they are out of the water for better viability. The line diameter usually relates to its strength, but not all brand are the same. When it comes to diameter, the smaller the better as a line with thinner diameter would mean that it is hard for the fish to see. Make sure that even it has smaller diameter it should be strong enough to withstand the movement of the fish. High memory fishing line means it remains its shape when stretched out. This is not a good feature as a high memory remains curled around the spool. It is best to choose a fishing line with low memory so it will straighten and true when casting and using the line. This feature will depend on where you are casting out and the type of lures you will be using. Topwater lures, for instance, will not get a lot of exposure to rubbing on rocks which can cause abrasion. Line with a good amount of abrasion resistance can be very helpful as a fish bite can damage the line. a) Why choose monofilament line instead of the other types? Monofilament has better stretch, memory, visibility and of course the price. It is also one of the easiest to work with. b) What is the best way of using a monofilament line? This type of fishing line can be used in all setups making it a versatile line and this makes it a popular choice among anglers. Monofilament line can cast fairly far but not as long as others and it is not recommended particularly if the water is murky. c) When you should replace your monofilament line? The number of time you need to replace your monofilament line will depend on the number of time you will use it. If it is a few times a week, you will need to replace it at once. 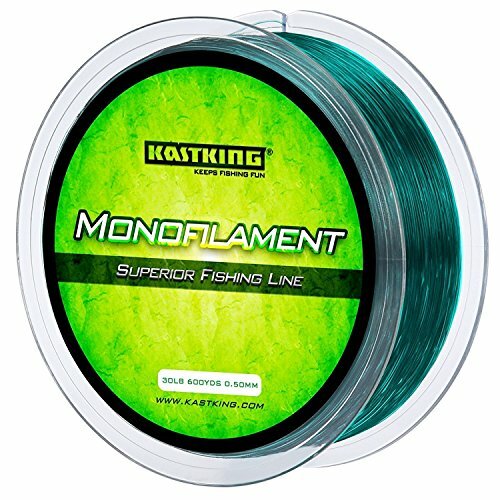 Our highly recommended is KastKing Flourokote Monofilament Fishing Line. One of the main reasons is its color. It is not easy to catch fishes as they are also intelligent enough to stay away on your rod. However, if you use this fishing line that becomes invisible if placed underneath the water, you will surely get a catch. This fishing line has better strength and durability. If you have other things in mind about the topic, you can comment below.